Rock and roll dance is usually done competitively is an acrobatic dance which requires a lot of skill and stamina. However there are also non-acrobatic forms of Rock’ n ‘roll which are easy to learn and fun to do. This style of dance is very similar to swing, Jive and jitter bug. This basic step is very similar to single time Swing dancing. It is a great start for beginners. Both the men and the ladies start with a rock step and then a side rock. The social form of Rock n roll is very similar to the single time East coast Swing basic step. And it has a great deal of turns, spins, changes of places. The technique used is mostly “ball flat”. That means that both the men and ladies take start the steps from their ball of the foot and let their hell lower afterwards. There is a lot of foot pressure being used through out. On the other hand, Acrobatic Rock’n’Roll is a dance that has originated from Lindy hop, however it is mainly geared towards performance and competition. It requires a great deal of athleticism and flexibility. There are kicks, tricks and lifts through out the routines. We have a lot of other dance lessons available here on Learntodance.com. 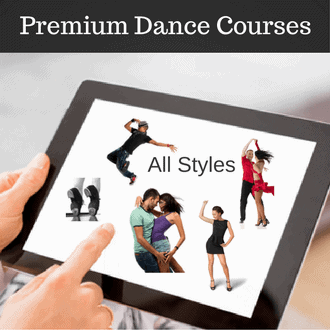 Visit our online dance lessons for more free video tutorials.